stock- well stock exterior wise. flat black wheels. satin black SAP front grills, and satin black rear valence. I had red vinyl for the letter inserts but it wasn't cut correctly. im waiting on my replacement. 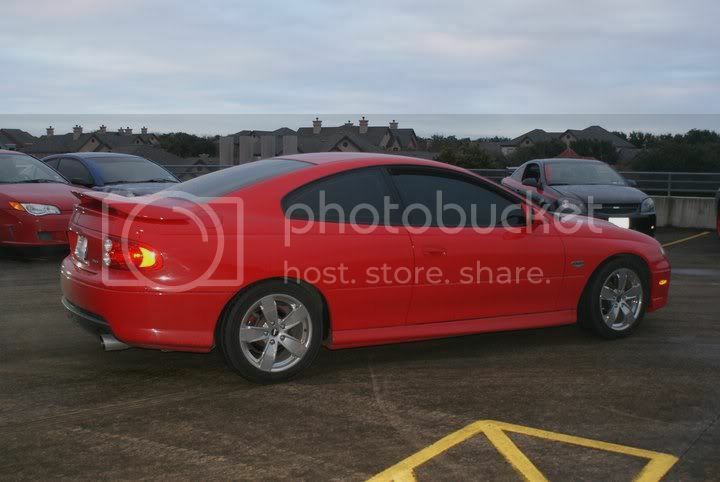 then i'll be debadging "pontiac" off of the back. wheels are 17s. 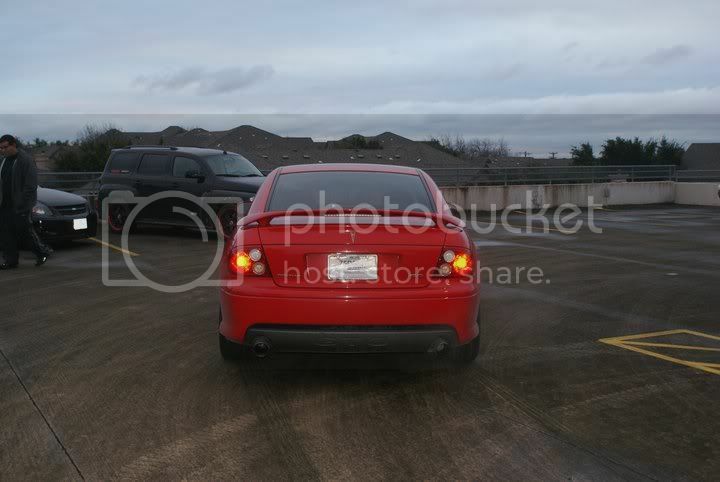 i went with them because they are lighter than stock and i plan to run 275s in the rear so I didnt want to have to do too much modifcation in the back to have room for them. 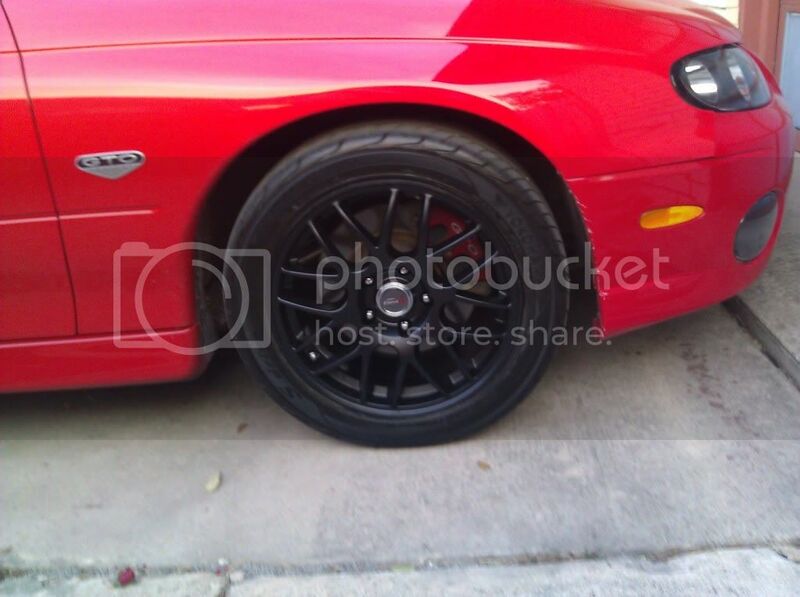 Plus i just hated the stock polished wheels. 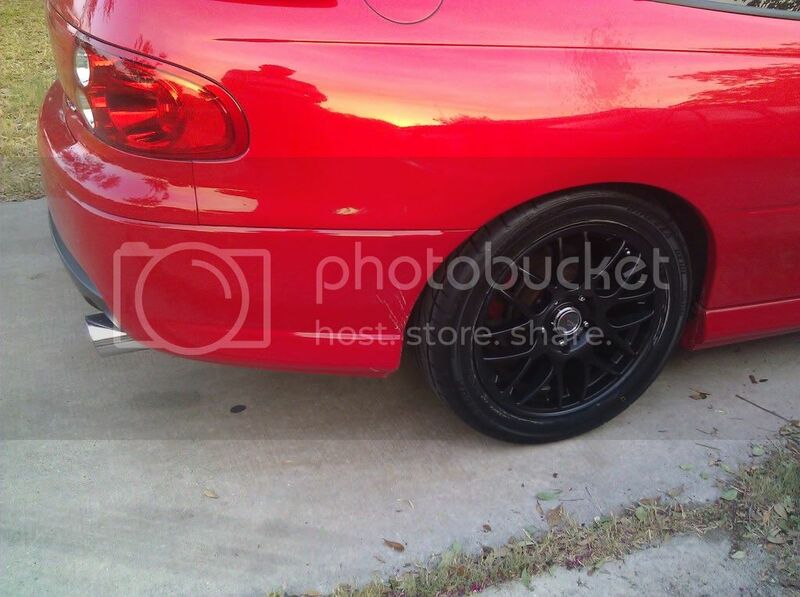 Im not a fan of polished/chrome wheels. 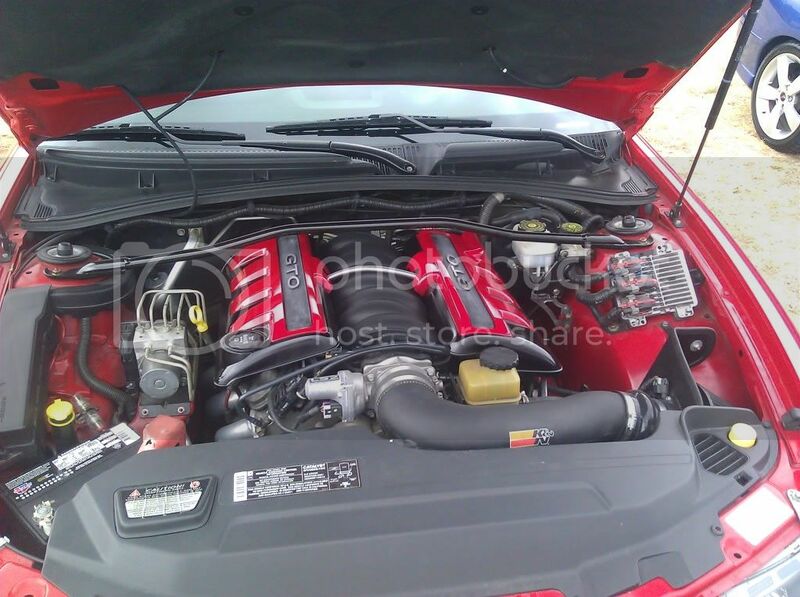 Engine covers are gloss black and torrid red. 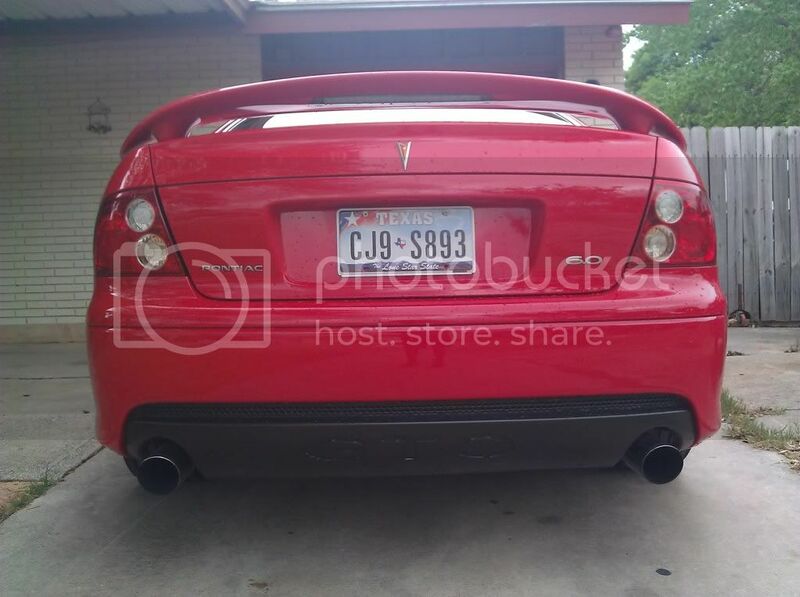 then i'll be debadging "pontiac" off of the back. haha. that arrowhead is staying. I love the wheels. Goat looks good, brah. thanks everyone.. im looking forward to camming it.. cant wait. Looks great though, ever think of tinting the tails or just smoking them? 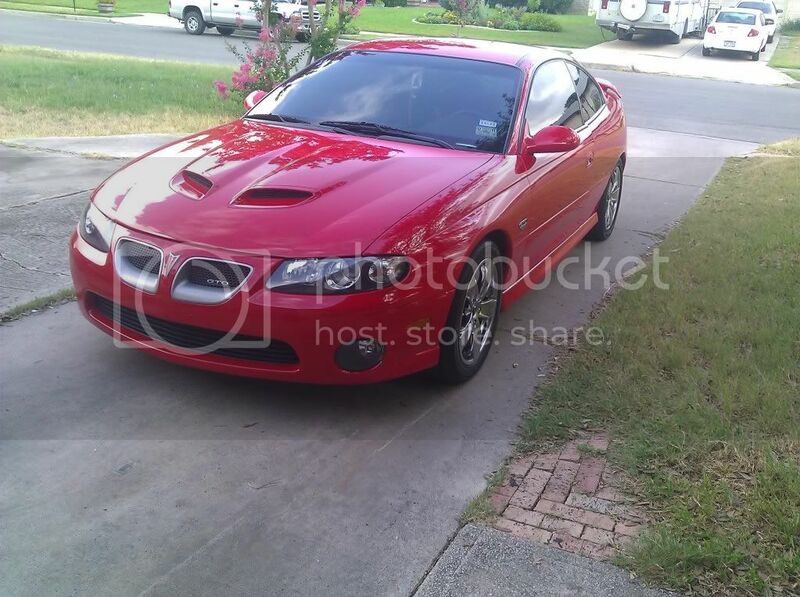 The red GTO on the back looks great and I like the black upper grills. 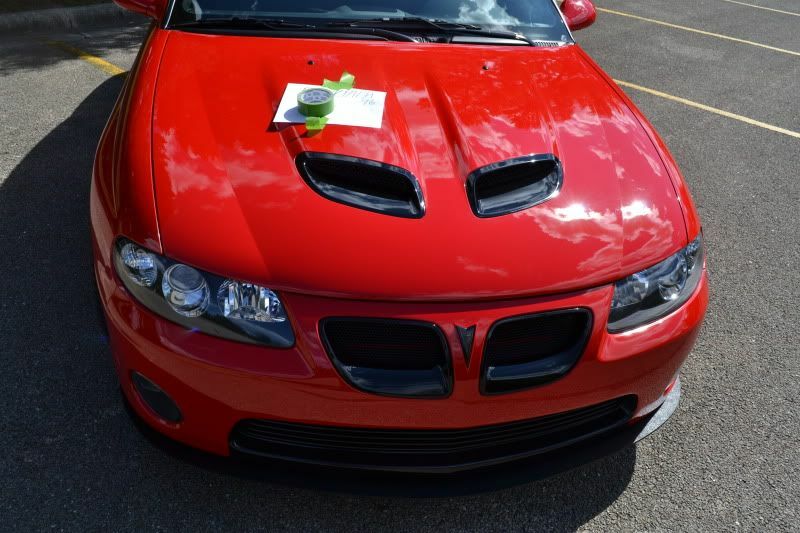 I also like how you painted the engine covers. 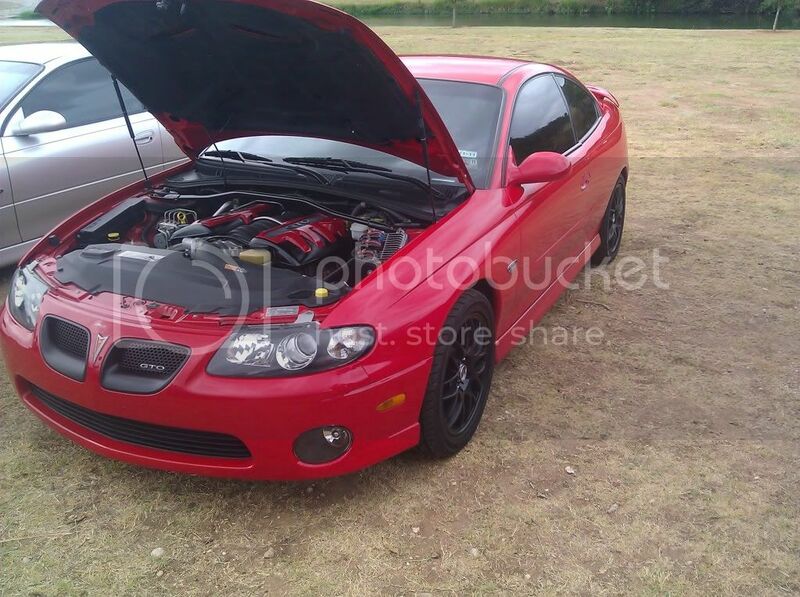 The only thing I think I would change in to paint the fan/radiator shroud red to match the car. The black I think takes away from how clean you have made everything and would flow better into the engine compartment. Lastly im a sucker for the SAP lower grill kit or at least the fake painted one. 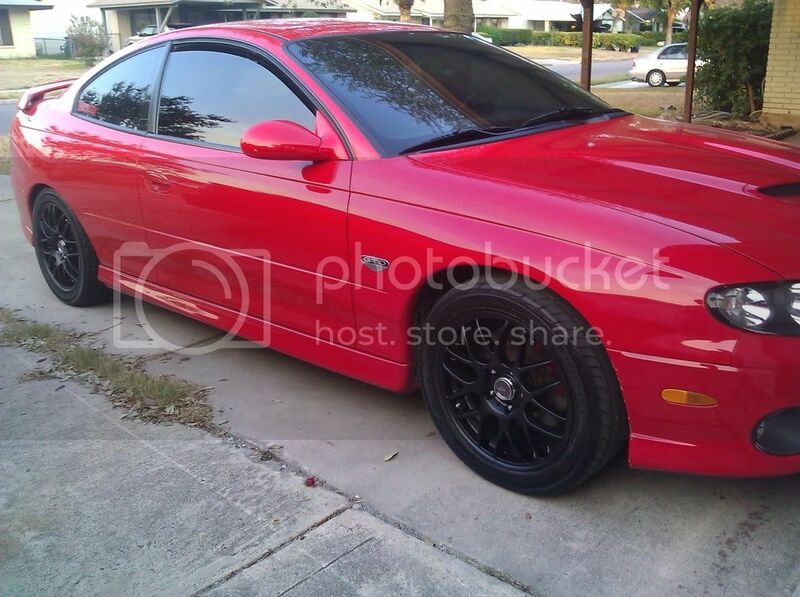 Over all I love the car thou... Im just thinking out loud. The SAP lowers or even the fake ones like Erik (Crimson) did look amazing! you are correct.. front grills are satin black also.. i thought about tinting them, then i changed my mind.since the car is red i dont want to go extreme on the black stuff. 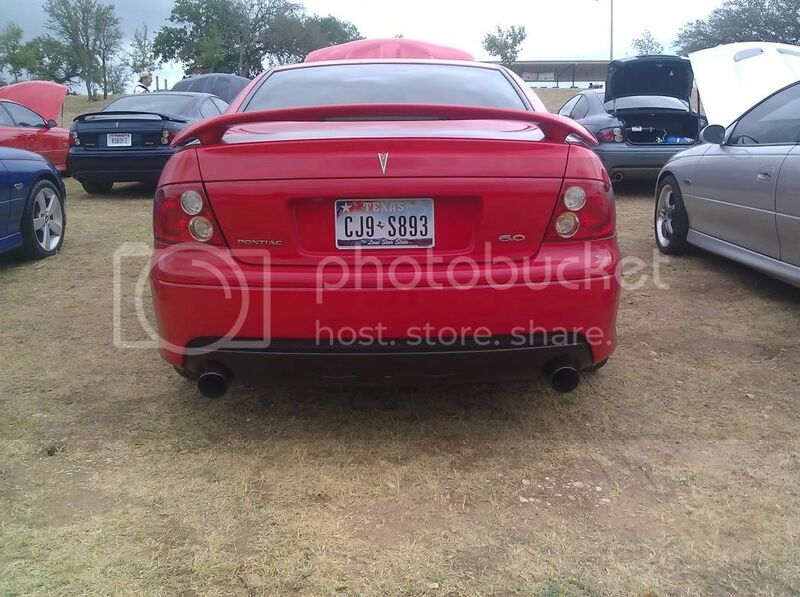 red tails on a red car isnt that bad. oh no... that'd be waaaaaaaay too much red lol. 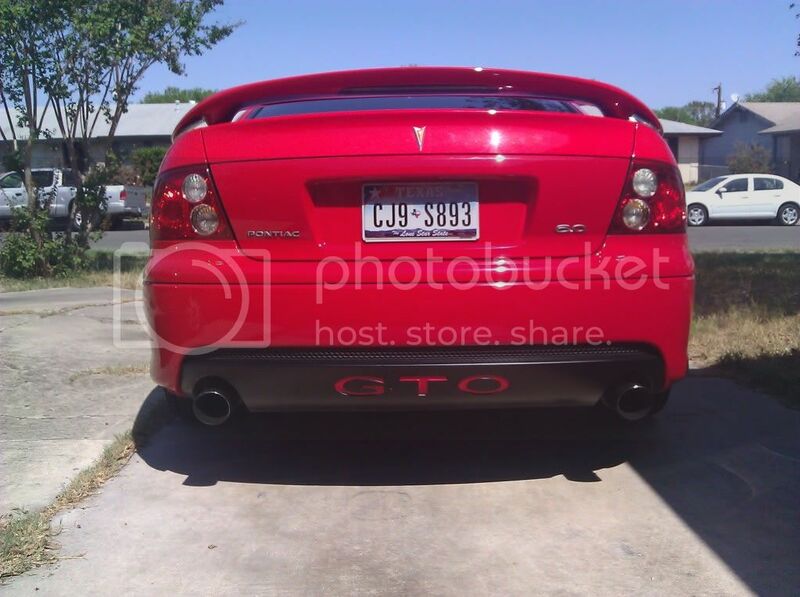 im going to throw a red gto decal on a section of it..
another thing i may do is just get teh over the radiator intake then ill basically remove the shroud or cut a piece out of it. ive got that sittin around. just need to get it in. Which OTR? I had the Vararam in mine and it was awesome! Svede's are pretty cool, I think I liked the Vararam just a bit more though. The black schoooooops, SAP grills, Fake SAP lower grill & the splitter just look GREAT!!! !